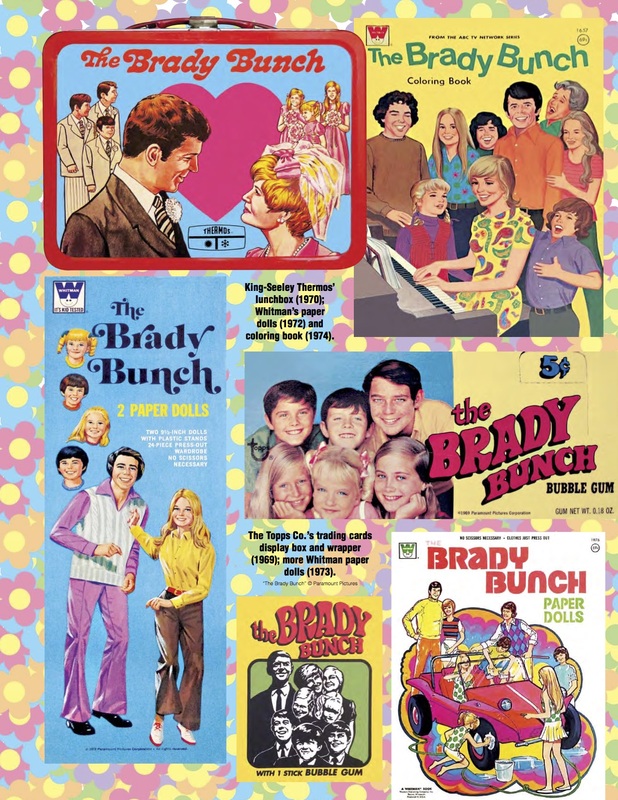 I know what you’re thinking: Why is a site that is 90 percent about comic books running something about The Brady Bunch? 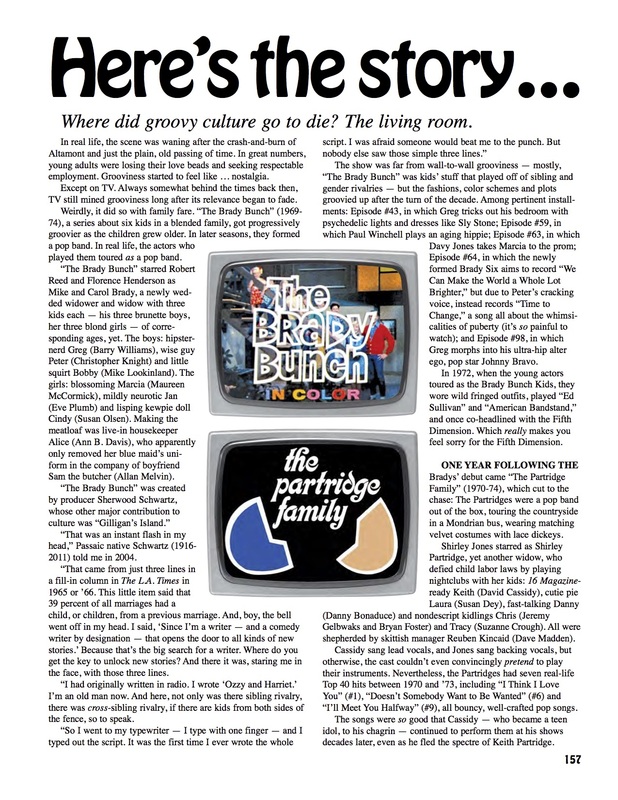 Well, I’ll let you in on a little secret: When I sit down to write on Sundays — one of my longest sessions of the week — I switch on MeTV’s 2-hour Brady Brunch block and have it playing in the background while I bang away at my keyboard. It’s just one of those things that calms me and makes me quietly smile to myself — or quote along or laugh at the hilarious cheesiness of it. 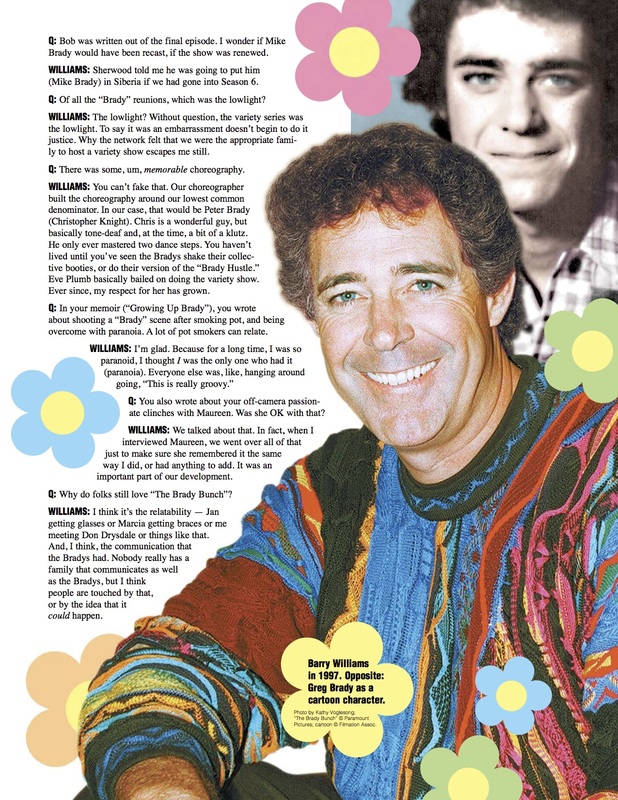 I especially dig the middle to later years, that sweet spot of dorky plotlines, bellbottoms, big belts and perms. I can do without the earliest episodes and, naturally, the final Oliver episodes. MeTV doesn’t run the entire series. They obviously have some syndication package that gives them a sort of Greatest Hits, filled out with a bunch of random episodes, so you end up seeing — or I guess in my case, hearing, since I’m typing with my back turned to the TV — the same episodes over and over. You don’t have to wait too long for the Hawaii three-fer to show up, is what I’m saying. Still, I’d prefer to see more of a selection, so I suppose I could start hunting down more episodes. I don’t want to pay for them though, because The Brady Bunch just doesn’t seem like that kind of party. But I do love the show, partially with irony, partially without. 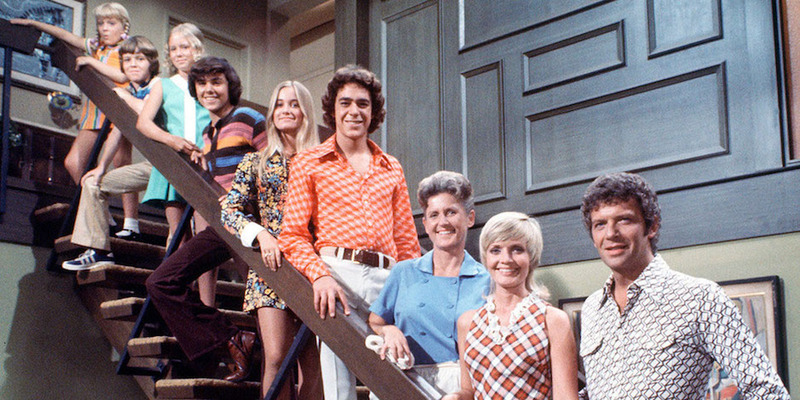 It was a staple of after-school TV with my sister Paula — I only vaguely remember it in first run — and the Bradys were as familiar to me as anyone in my neighborhood, y’know? For the complete Groovy index of excerpts — including stories on Wonder Woman, the Monkees, Steve Ditko and the Beatles — click here. The 192-page hardcover lists for $39.95. 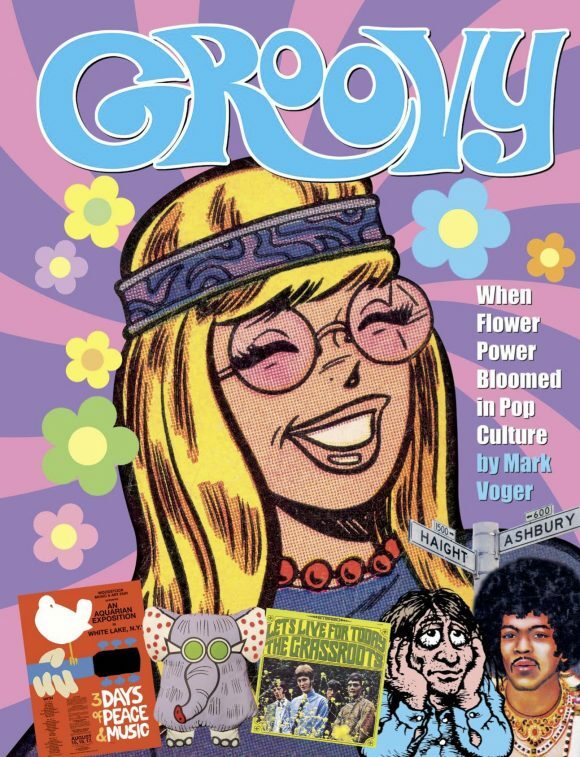 Groovy will be available in stores but can also be ordered directly from TwoMorrows. Click here.